John Carlos has some strong feelings about what fans, players and NBA owners should do about Donald Sterling. As NBA players are making symbolic political statements on the court in response to Donald Sterling’s recorded racist rant, 1968 Olympian John Carlos’s name has been repeatedly referenced in columns and on social media. 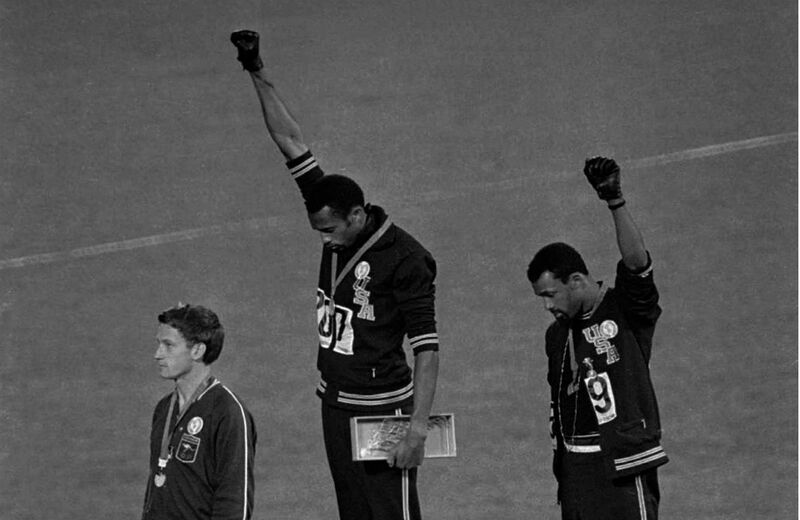 After all, it was the stand of John Carlos and Tommie Smith after their 200-meter race at the Mexico City Olympics that has become the go-to template for athletic protest over the last forty-five years. Many are using Carlos’s example to state authoritatively what the Clippers players should or should not have done before their playoff game last Sunday. Some folks are saying that if John Carlos were on the Clippers, they would have boycotted the game. Others have said that if John Carlos were there they would have sat on the floor or walked off the court after the opening tip. People have been talking about John Carlos as if it were a doctrinal “what would Jesus do?” kind of discussion. This was coupled with a series of moralistic articles—including this doozy from The New York Times—about all that the players should have done. So to sum up, Dr. Carlos thinks the fans should boycott, the players should demand trades and the owners should take Sterling’s team. I think we perhaps can see why a lot of mainstream outlets have not asked for his thoughts. But these are certainly ideas that many people both inside and outside the NBA share.